Venezuela's Nicolas Maduro has no authority to sever diplomatic ties with the United States, the State Department said Wednesday, hitting back after the leftist leader gave American diplomats 72 hours to leave the country. Thirteen people have died during two days of unrest in Venezuela amid protests against President Nicolas Maduro, a Caracas-based rights group reported Wednesday. 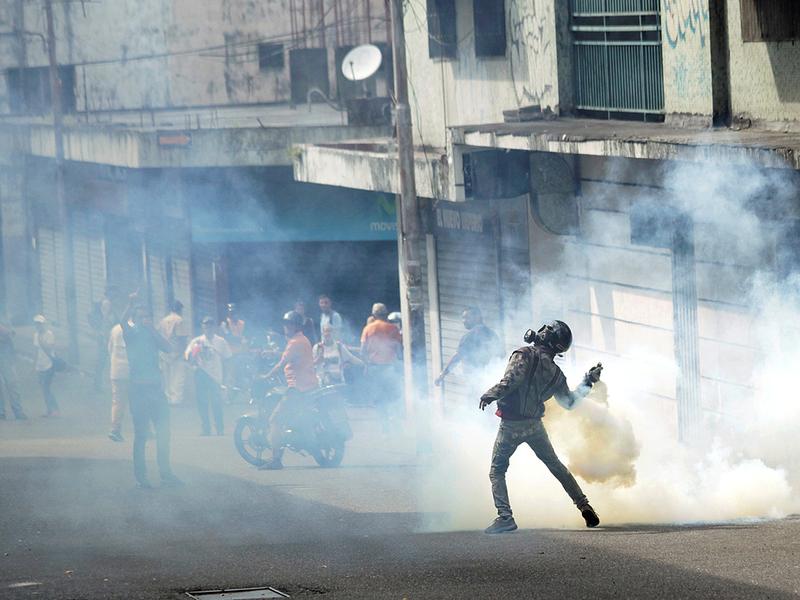 The deaths, mostly from gunshot wounds, were recorded in the capital and across the country the Venezuelan Observatory of Social Conflict told AFP. Cuba sprang to the defence of its socialist ally Nicolas Maduro on Wednesday, expressing its "support" for the Venezuela president and hitting out at "imperialist" foes after opposition leader Juan Guaido declared himself president. Writing on Twitter, Cuban President Miguel Diaz-Canel expressed "our support and solidarity to President Nicolas Maduro after the imperialist attempts to discredit and destabilize the Bolivarian Revolution." Foreign Minster Bruno Rodriguez described Guaido's move, that was backed by the United States and many Latin American countries, as a "coup attempt." Venezuela's military has rejected opposition leader Juan Guaido's claims to be the country's "acting president," Defence Minister Vladimir Padrino said on Wednesday. The armed forces "will defend our constitution and is the guarantor of national sovereignty," he added. The European Union said Wednesday that the voice of the Venezuelan people "cannot be ignored" and called for "free and credible elections" after the South American country's parliament leader Juan Guaido declared himself interim president. "The civil rights, freedom and safety of all members of the National Assembly, including its President, Juan Guaido, need to be observed and fully respected," the EU's diplomatic chief Federica Mogherini said in a statement on behalf of the 28-member bloc. EU Council President Donald Tusk said Wednesday he "hopes that all of Europe will unite in support of democratic forces in Venezuela" after several major countries recognised opposition leader Juan Guaido as the South American country's "interim president". "Unlike (Venezuelan President Nicolas) Maduro, the parliamentary assembly, including Juan Guaido have a democratic mandate from Venezuelan citizens," Tusk wrote on Twitter. Venezuelan riot police fired tear gas and rubber bullets as clashes broke out with opposition protesters after National Assembly head Juan Guaido declared himself the country's "acting president" in place of socialist supremo Nicolas Maduro, AFP journalists reported. 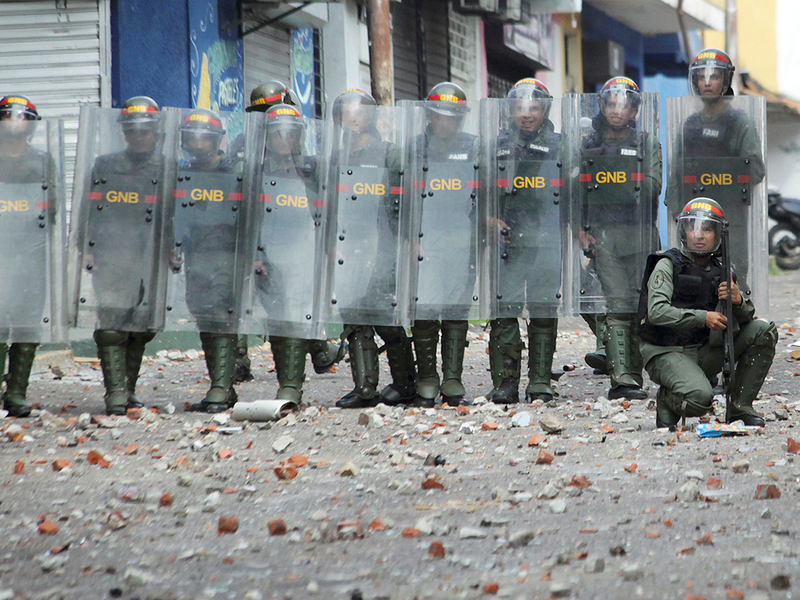 The clashes broke out when members of the National Guard tried to clear a road in a Caracas suburb that had been blocked by dozens of opposition protesters. France is consulting with its European partners about the situation in Venezuela, the president's office said on Wednesday as the South American country's opposition leader declared himself interim president. Bolivia's leftist President Evo Morales affirmed his long-standing alliance with President Nicolas Maduro on Wednesday, with a tweet offering to stand by Venezuela's side against what he often calls U.S. meddling in South America's affairs. 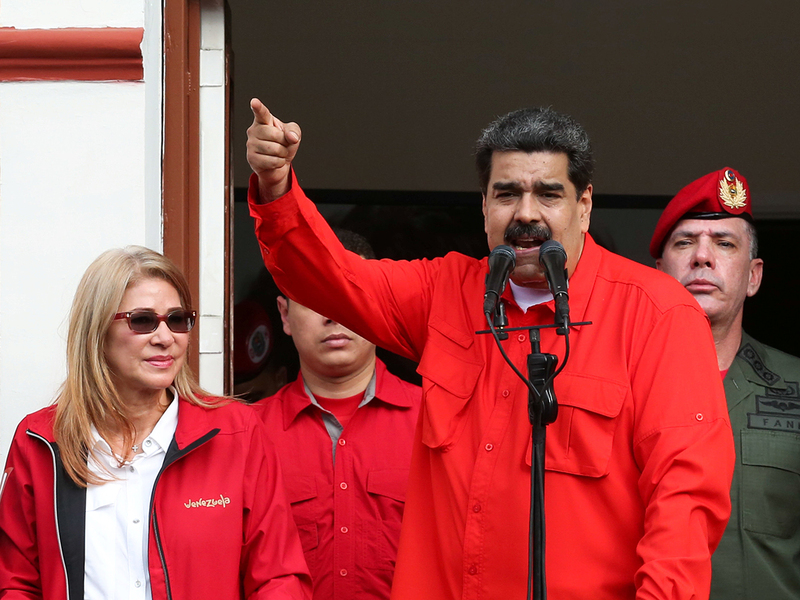 Venezuelan President Nicolas Maduro on Wednesday called on the country's military to maintain unity and discipline, after the leader of the opposition-controlled congress declared himself interim president and asked for the armed forces' support. Caracas: Backed by hundreds of thousands of protesters and the support of the United States, Venezuela opposition leader Juan Guaido declared himself interim president on Wednesday, calling for free elections to end the rule of socialist Nicolas Maduro. Demonstrators clogged avenues in eastern Caracas, chanting “Get out, Maduro” and “Guaido, Presidente,” while waving national flags. Police fired tear gas to disperse protesters in several areas, after a rally on Tuesday evening left a reported four people dead. 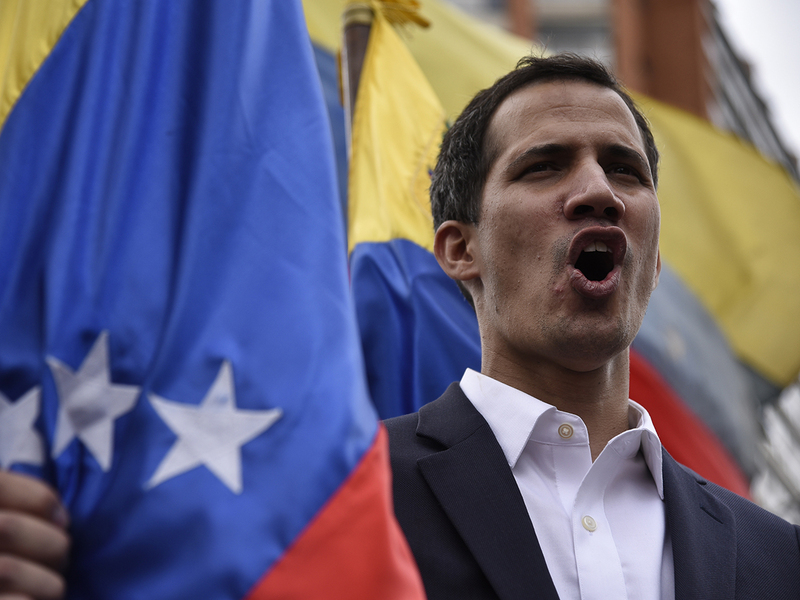 The 35-year-old Guaido has energized the opposition with a campaign to declare Maduro a usurper after elections last year widely regarded as fraudulent, and has promised a transition to a new government in a nation suffering a hyperinflationary economic collapse. “I swear to assume all the powers of the presidency to secure an end to the usurpation,” said Guaido, recently elected head of congress, before an exuberant crowd. Maduro’s administration could also crack down on Guaido. It has previously accused him of staging a coup and has threatened him with jail. Guaido’s political mentor, Leopoldo Lopez, was arrested in 2014, one of dozens of opposition activists and leaders the government jailed for seeking to overthrow Maduro through violent street demonstrations in 2014 and 2017. Guaido has said he would be willing to replace Maduro with the support of the military and to call free elections. 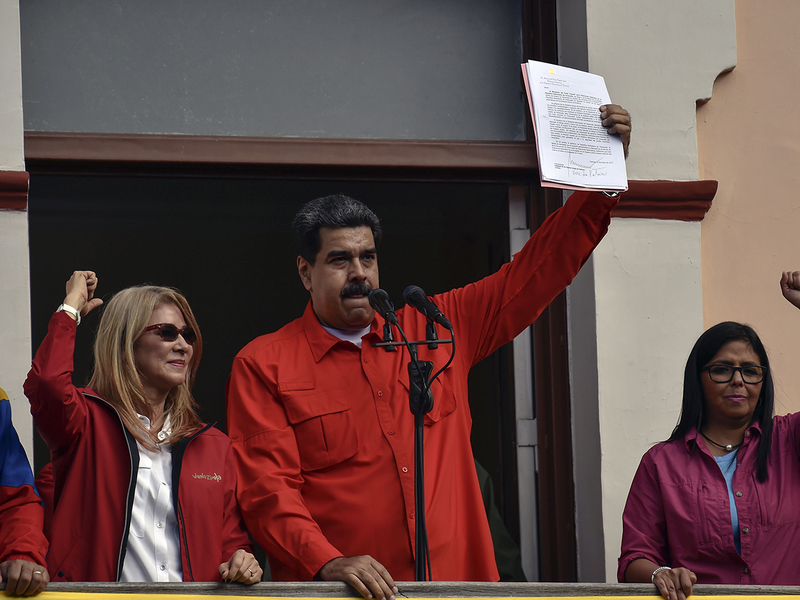 Maduro started a second term on Jan. 10 following a widely boycotted election last year that many foreign governments described as a sham. The Trump administration could impose sanctions on Venezuelan oil as soon as this week, according to sources.Any change in government in Venezuela will rest on a shift in allegiance within the armed forces. So far, they have stood by Maduro through two waves of street protests and a steady dismantling of democratic institutions. The constitution says if the presidency is determined to be vacant, new elections should be called in 30 days and that the head of congress should assume the presidency in the meantime. The pro-government Supreme Court has ruled that all actions taken by congress are null and void. A 16-year-old was shot dead at a protest on Tuesday in western Caracas, according to rights group Venezuelan Observatory of Social Conflict. Three people were shot dead on Tuesday night in southern Bolivar City during looting that followed a nearby protest, Bolivar state governor Justo Noguera said.